National Assembly Speaker Asad Qaiser on Wednesday revealed that the National Accountability Bureau (NAB) informed him after apprehending Pakistan Muslim League-Nawaz (PML-N) President Shehbaz Sharif. During an interview with a private news channel, he said the prime minister suggested issuance of the opposition leader’s production order, when the matter was discussed with him. 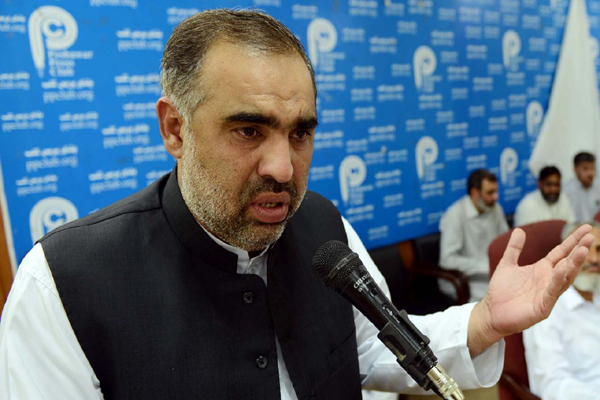 Asad Qaiser further said the chairman of parliamentary committee for probing alleged rigging of 2018 polls will be from the government. He said the chairman would be elected in the first week of November. The speaker said that he wants to conduct proceedings of the assembly in a cordial way and has complete backing by PM Imran Khan. “Imran Khan asked me to act on the basis of experience,” he said. Qaiser said the prime minister is determined to realise his dream of a ‘Naya Pakistan’, stressing on the need for national unity. “The country can be steered out of problems through unity and everyone will have to unite on national agenda,” he said. The opposition leader in the National Assembly was shifted back to the NAB office in Lahore after he attended the session of the lower house. Strict security measures were put in place. On Tuesday, an accountability extended his physical remand by 14 days in the Ashiana Housing probe. The NAB had arrested Shehbaz on October 5. The former Punjab chief minister was charged with awarding illegal contracts.